Plumbing repairs are something no State College homeowner wants to deal with, but no matter how hard we wish for it not to be the case, it is something every homeowner is going to have to address at some point or another. For all of your plumbing repair needs, The Best HVAC is your go-to plumbing company of choice for the quality repairs you need to get all aspects of your system working again like they should be. Is your home's plumbing system behaving abnormally lately, or have you had a serious issue spring up that needs quality repairs right away? Whatever the case may be, we are just the plumbing company to help you resolve your issues and get things back to normal in your home. Here at The Best HVAC, we are a State College HVAC company that goes above and beyond to provide local homeowners with the quality services they need to keep their home comfortable and in the best shape possible for themselves and their families, and plumbing repairs are an important part of that equation. Our professional plumbing company is available 24/7 to help you with all of your plumbing repair needs, no matter how minor or complex they might be, and we will work our hardest to provide you with the fast and accurate service you need to get things back to normal in your home. If you have any questions about our full line of high quality plumbing repair services, or if you would like to schedule an appointment for consultation, give us a call today. Our team of experts are standing by and always ready to help. Anytime there is an issue with your home's plumbing, it is never a good idea to attempt a DIY fix. 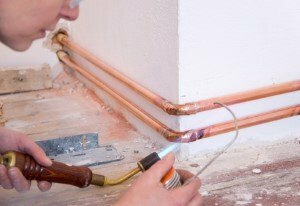 Plumbing can be tricky, and if you don't know exactly what you're doing, it is very easy to cause more damage in the process of trying to correct the issue. Here at The Best HVAC, we are the local plumbing company that can help you quickly and accurate diagnose the cause of your plumbing issues in your home, and deliver the quality service you need to correct the issue in no time at all.